There are many different levels of participation. I'm not committing to anything too grand at this point. I might read Dracula. I might not. I might watch a few spooky movies, or I might just binge watch Downton Abbey season 4 on DVD because I can never manage to watch a show when it airs on actual television. Sigh. 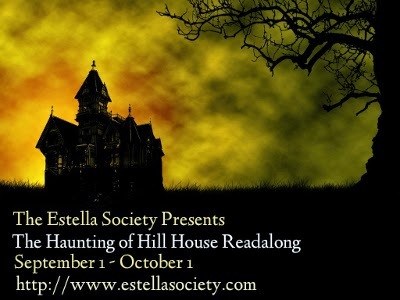 The only thing I'm sure of is that I'll be joining in the readalong of The Haunting of Hill House by Shirley Jackson co-hosted by The Estella Society. I've never read it and that's a crying shame. I'm off to hunt down a copy right this minute. Seriously though, no pressure. I joined the challenge too and chose books but I always switch it up based on mood. Glad you're joining in the readalong! Hope you get to watch some spooky movies, but if not, season 4 of Downton Abbey is AWESOME. Same here--the only thing I would commit to is The Haunting of Hill House. I have been meaning to read it for forever, so . .. yay, I've publicly forced myself. Oh, the shame if I don't read it . . .
Have fun! I love this event. I'm just reading/watching anything scary that I can make time for. Glad you're joining in the readalong! So glad to have you! I'm almost through my second book for the event, and that's mostly by accident. I think I automatically find myself in the mood for scary/creepy/ominous books this time of year, so it works for me pretty effortlessly. 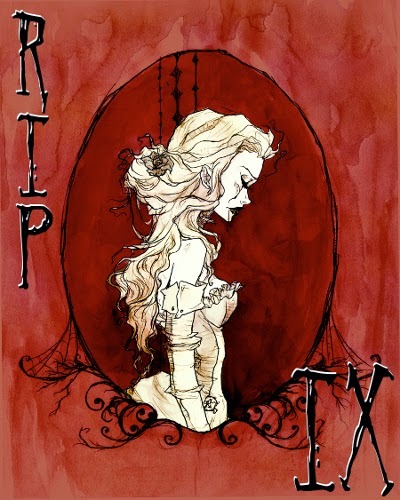 I so want to join in on R.I.P. but I'm just not sure I want to add another "have to" read book to my schedule. Have fun with it! So glad you joined!!! I have my post scheduled to go out tomorrow with my list. I'm definitely signing up for the readalong to get me motivated to read it finally! I have the book (The Haunting of HIll House) and I've recently watched the movie. I guess it's too late now to join the readalong, but I'm sure I'll read it book at some point. Enjoy!